A couple of months ago I received the Woolly Ultralight Crew Neck Merino t-shirt and since then I’ve been regularly using it as a base layer for hiking. The Woolly Ultralight Crew Neck Merino t-shirt is made of 100% Merino wool. Base layers made of Merino wool have certain advantages in comparison to the more commonly used polyester base layers; they offer better breathability, retain warmth even when wet and are naturally odor-resistant. However, they are also more expensive than polyester base layers and somewhat less durable. Despite these shortcomings, I made a complete switch to Merino wool base layers a year ago. The main reason for switching from synthetics to Merino wool was the poor anti-odor performance of polyester base layers which made them unsuitable for anything but day hikes. Furthermore, I wasn’t satisfied with the breathability of polyester base layers (it’s really poor) and how they feel against the skin (synthetic/plastic). 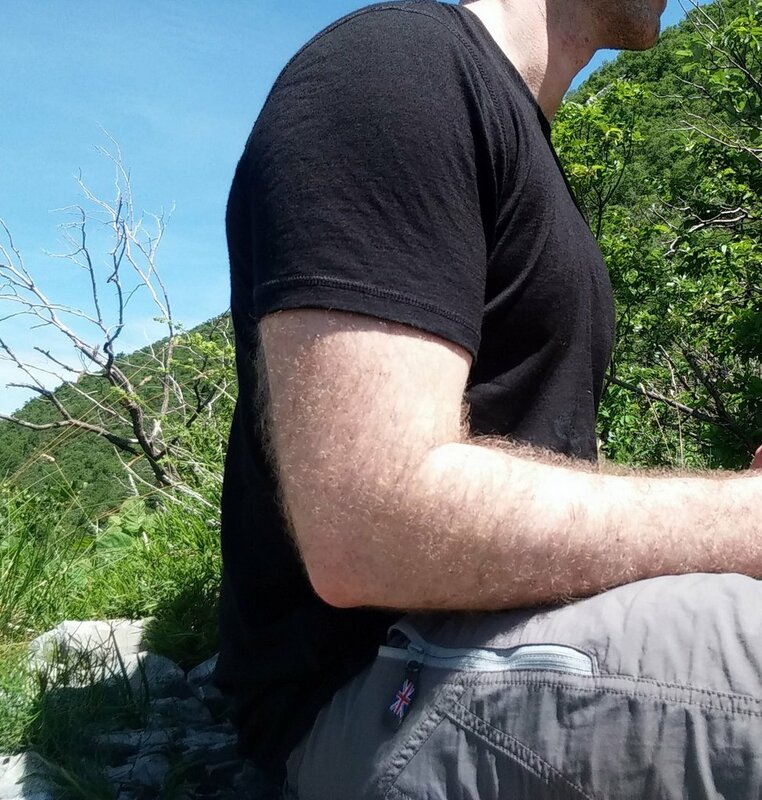 As a fan of Merino base layers, I was eager to test the Woolly Ultralight Crew Neck Merino t-shirt and compare it to my other Merino base layers such as the Icebreaker Tech T Lite t-shirt and WoolPro Agena long sleeve t-shirt. 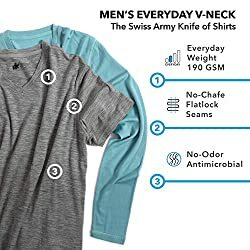 Here is what I learned about the Woolly Ultralight Crew Neck Merino t-shirt over the last months. The Woolly Ultralight Crew Neck Merino t-shirt is made of 100% Australian Merino wool with a density of 150g/m2. Therefore, the fabric is very thin and the t-shirt offers great performance for hiking on warm summer days. The fabric is also very porous (you can see the pores in the fabric when you hold it up against the light) and thus provides great breathability and moisture-wicking performance. Due to the thin and porous fabric, the t-shirt is also very light – it weighs around 180 grams which is not much more than what my old synthetic base layers weigh (note that polyester base layers are in general lighter than Merino base layers). The fabric is super soft to the touch and feels very comfortable against the skin. So far I haven’t experienced any itching or chaffing. 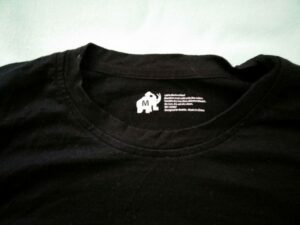 Woolly doesn’t disclose what grade of Merino wool the t-shirt uses, but I think that it is Superfine or Ultrafine Merino wool – meaning that the fiber’s diameter is less than 18.5 microns (the smaller the diameter, the softer the wool). The t-shirt indeed feels slightly softer to the touch than the WoolPro Agena t-shirt which uses Extra Fine Merino wool (fiber diameter between 18.5 and 19.5 microns). Due to the thin fabric the t-shirt dries fast. However, keep in mind that Merino base layers in general don’t dry as fast as polyester base layers because Merino wool absorbs up to 33% of its own weight in moisture while polyester absorbs only up to 0.4% of its own weight in moisture. Nevertheless, unlike polyester base layers, Merino wool base layers don’t feel clammy against the skin as the outer part of the fibers has hydrophobic properties. For in-depth information about the properties of Merino wool versus those of synthetic base layer materials, check out our Comparison of Base Layer Materials. Like other Merino base layers, the t-shirt offers excellent odor control. I wore the t-shirt on the Le Moucherotte hike in April where it got soaked with sweat. I dried it overnight and next day neither my girlfriend nor I could detect any signs of unpleasant odor. I’m really impressed over the antimicrobial properties of Merino wool garments – no matter how long I wear them for, they just don’t get smelly. I have worn the t-shirt as a stand-alone base layer only on one hike so far and thus I can’t say how good UV protection it offers but in my experience Merino garments offer great protection against UV radiation despite being very porous (I have tried quite some Merino garments so far – see the Gear Tests section). For more information about UV protection and clothing, check out our article Sun Protective Clothing. So, how does the Woolly Ultralight t-shirt’s material compare to the Icebreaker Tech T Lite t-shirt’s material? The Icebreaker t-shirt uses core spun yarns made of a mixture of 87 % Merino wool and 13 % nylon, and thus feels slightly less soft and more “synthetic” to the touch. 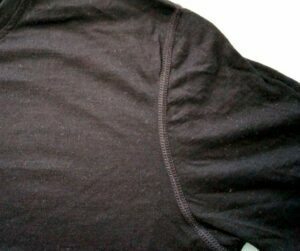 However, the material of the Icebreaker t-shirt also seems a little more durable due to the nylon core. The Woolly t-shirt offers slightly better stretch than the Icebreaker t-shirt. 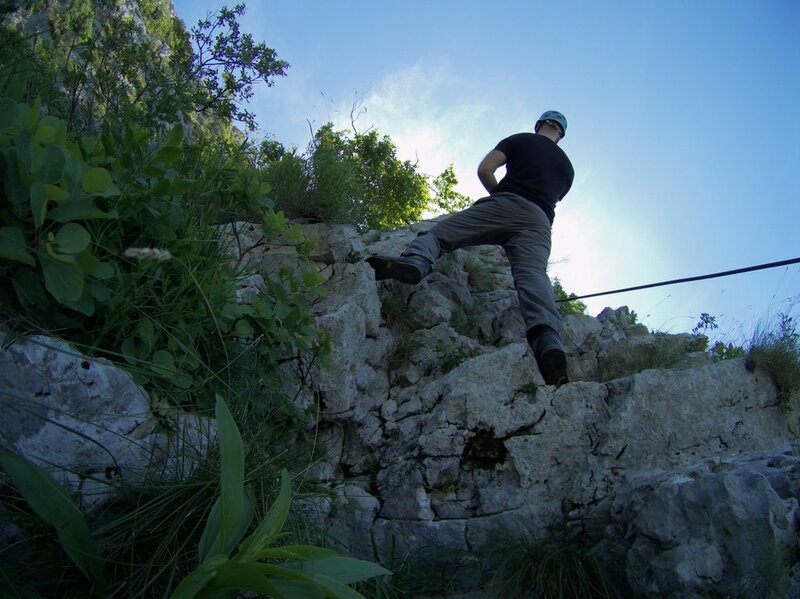 The Woolly Ultralight t-shirt’s is very comfortable and can be used for year-round hiking. However, it performs best on warm summer days due to the regular fit and thin/porous fabric. The t-shirt is very stretchy and thus it offers great freedom of movement. Freedom of movement is further enhanced by the regular fit. The t-shirt also uses flatlock stitches (unlike the Icebreaker Tech T Lite) in order to prevent chaffing. 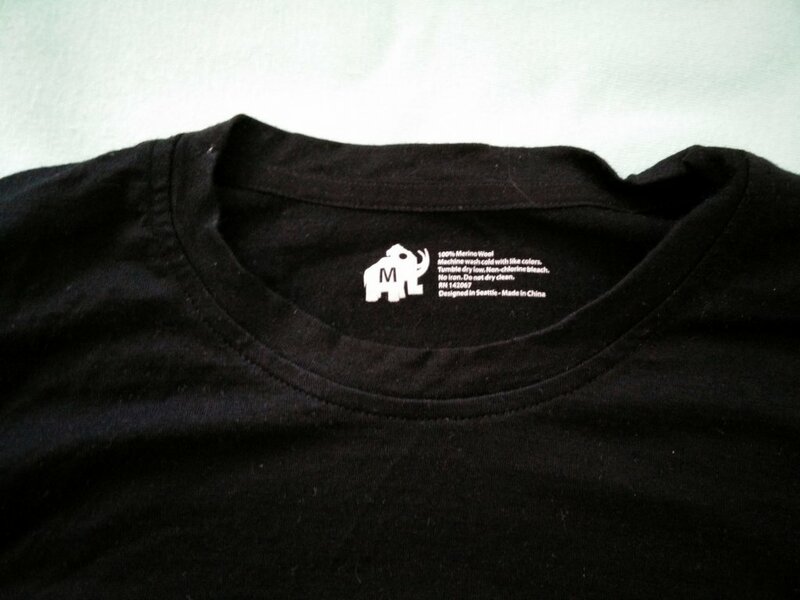 The t-shirt has a label on the inner backside which is printed to prevent chaffing or other discomfort. The Woolly Ultralight t-shirt is machine washable in cold water. It dries very fast due to the thin and porous fabric. 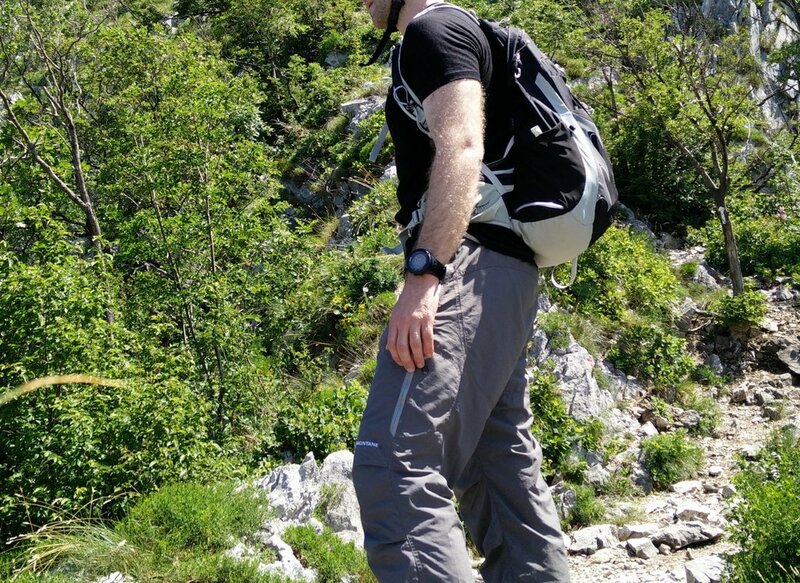 So far I’ve tested the t-shirt on the Le Moucherotte hike as well as on several shorter hikes. I was really satisfied with the t-shirt as it is very comfortable to wear and offers great performance (it is moisture-wicking, breathable, quick-drying and antimicrobial). 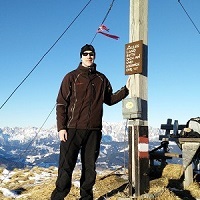 Therefore, I would recommend the Woolly Ultralight t-shirt to every hiker, trekker, mountaineer or climber who wants a well-performing base layer for his adventures. The t-shirt is available in five different colors and also in v-neck style. At the moment Woolly offers only men’s t-shirts but I’ve got information that they will soon also launch a women’s line of clothing.